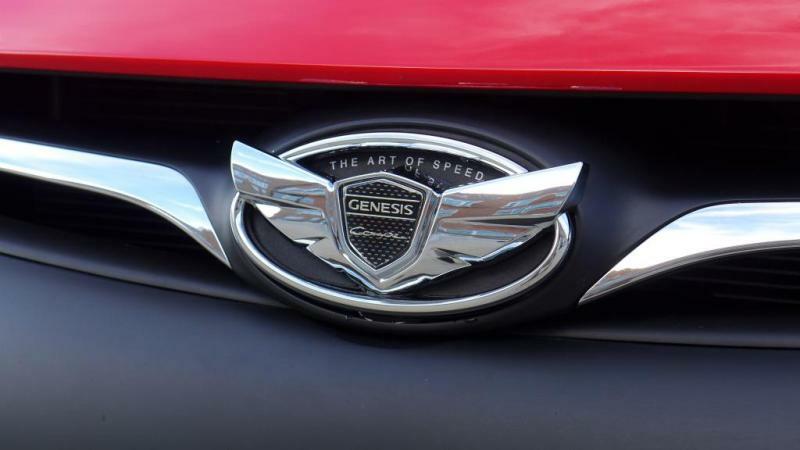 The unique Wing Emblem was designed for the 2010+ Genesis Coupe and is a direct replacement for the OEM front grill or trunk badge. Simple installation with waterproof adhesive backing. 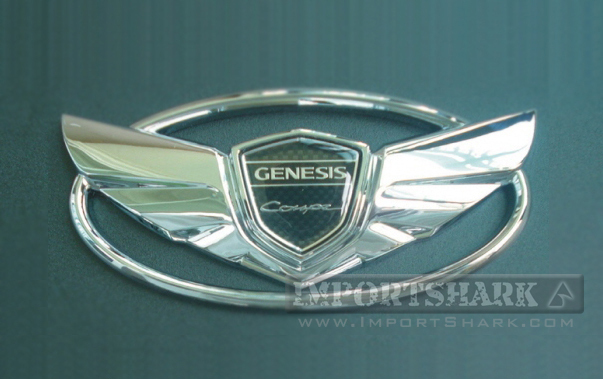 Price includes 1x emblem shipped by itself with center badge. 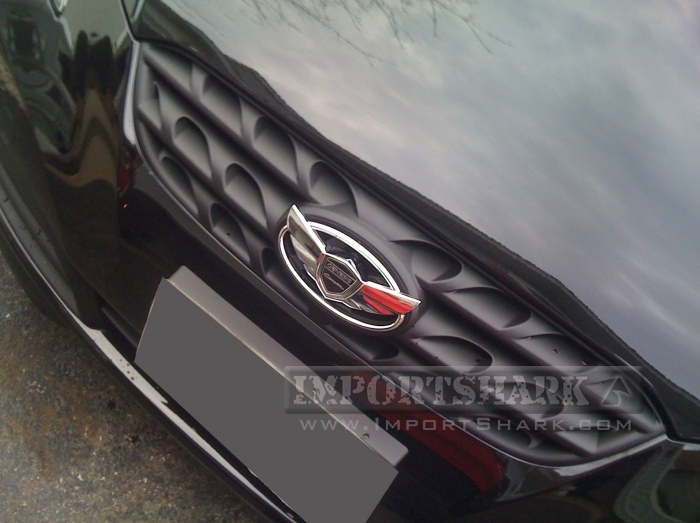 Single emblem may be installed on either the front grill or trunk. 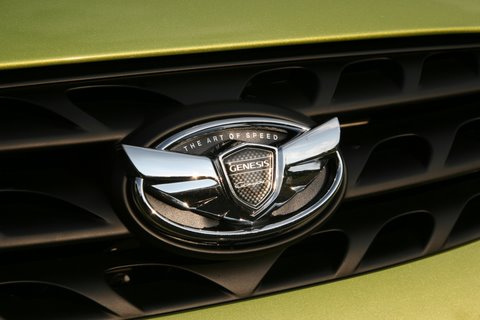 A quantity of 2x emblems will be for the "full set", which consists of front and rear emblems (interchangeable on front or rear of the car). 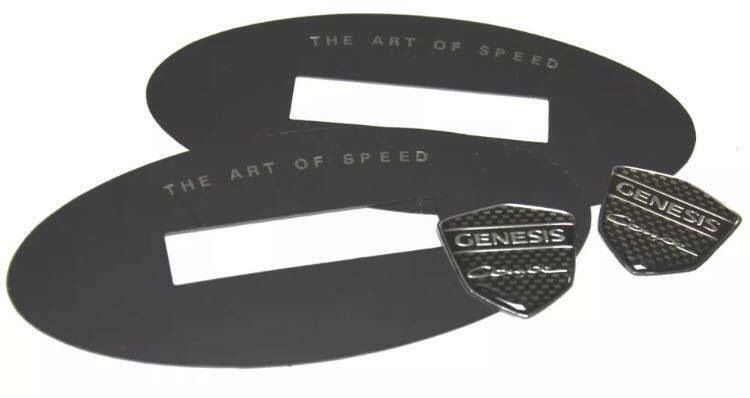 Included in the full set are the emblems, black "Art of Speed" backings (optional to use), center CF-look "Genesis Coupe" badges, screws and accessories. CURRENTLY THE BOX WITH FOAM SHOWN IN SOME PICTURES ARE NOT AVAILABLE. ALL ORDERS SHIP IN A PADDED MAILER. Notes: Installation with adhesive backing (included) and screws if needed (recommended). 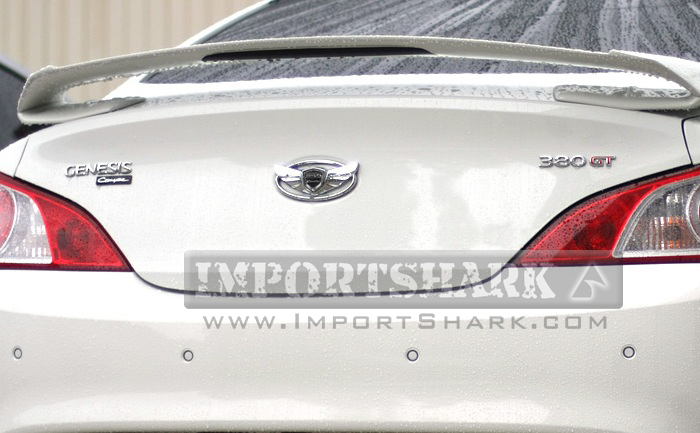 Slightly elongated screws may be necessary due to variances in production dates with certain Genesis Coupe models.